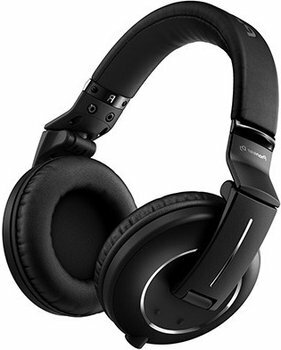 HDJ-2000MK2-K High-end, Pro-DJ monitoring headphones (black) DJParts - All Variety of Parts that DJ Needs. The HDJ-2000MK2 professional monitoring headphones inherit all the best from their predecessor - the HDJ-2000 - and build on the legacy. These headphones don't only ensure superb clarity with clear sound separation, from deep bass to crisp trebles. Even better, they adopt low-volume air chambers and air-tight stitching to improve sound insulation and deliver the pristine sound needed for monitoring in the loudest clubs. You no longer need to crank up the volume in loud clubs, thanks to the ear pads’ damper and airtight stitching. On top of that, the innovative, low-volume air chambers provide maximum insulation by reducing external noise in the mid to low frequencies. Designed for maximum comfort and durability, these headphones have lightweight bindings on the headband and hanger that reduce the pressure on your head. Their soft, leather-like ear pads with memory foam ensure a snug fit - whether you're performing in a packed club or engineering in a studio. Because of the rugged yet lightweight swivel/fold mechanism, you can easily transport them between gigs. Each ear-cup swivels a full 90 degrees, while the auto-return feature makes them ideal for on-the-shoulder monitoring.